An easy make-ahead twice baked breakfast potatoes recipe that is filled with eggs, feta and artichokes and is perfect for brunch! ‘Tis the time of year for appetizers, desserts, and brunch. And I think of all of those meals, brunch would have to be my favourite! Brunch is a lot more do-able than breakfast for a non-morning person like myself. Breakfast involves getting out of bed at the crack of dawn. Brunch to me is a much more ‘leisurely’ and ‘take your time’ kind of meal. Sleep in a little bit later…take just a little more time preparing the meal…and just a little more time eating it! 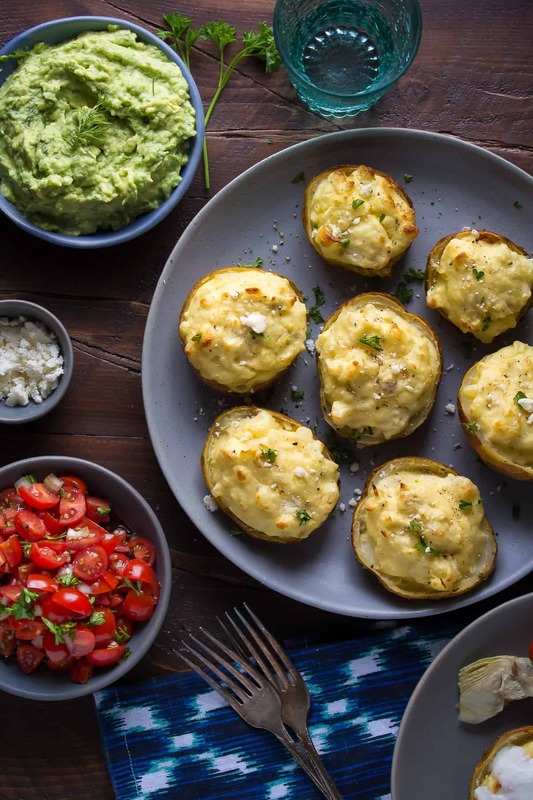 And I am most definitely down for brunch if these twice baked breakfast potatoes are involved…because not only are they twice baked, but they are filled with potato-artichoke-feta-egg goodness. Annnnnd I have some delicious and healthy toppings that take these guys to the next level! After that big old teaser I left you on Thursday, I am finally here with my #PCDishOut recipe! 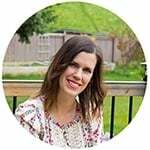 In case you missed that post, check it out here (and enter to win a $100 PC Gift Card while you’re at it). Here’s the deal: pick a product from the PC Insiders Collection, and put your creative spin (or hack) on it. Post a picture on social media and tag it #PCDishOut and #PCInsidersCollection, and you could win a prize! For my entry, I used the PC Strawberry Blonde Potatoes, PC Black Label Grilled and Marinated Artichoke Halves, and PC Blue Label Omega 3-White Eggs. My hack was to combine these ingredients into one delicious brunch-worthy potato. 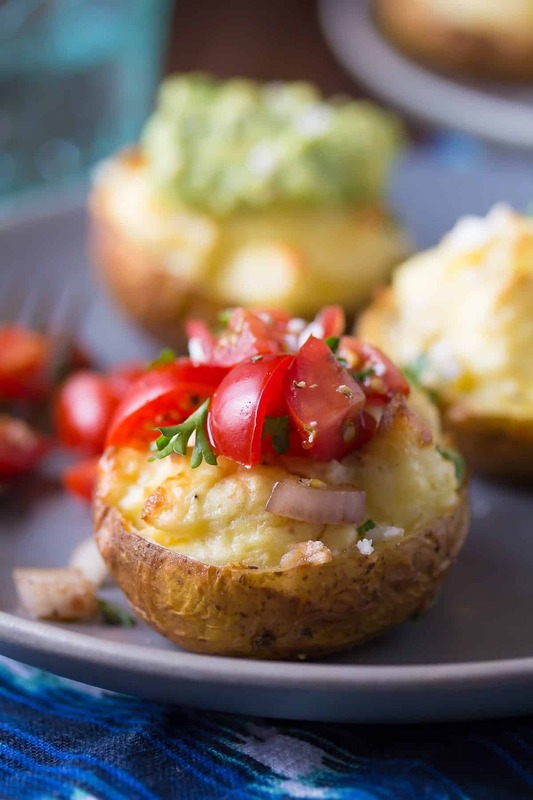 Initially I wanted to bake an entire egg in the hollowed out potato, but I preferred these twice baked breakfast potatoes because of the creamy, flavourful texture of the potato filling…hands down it won in flavour! Then you scoop out the potato fillings and toss with coarsely chopped PC Black Label Artichoke hearts, feta cheese, some yogurt, and PC Blue Label Omega 3-White Eggs. I highly recommend leaving the mixture a bit chunky, as you will get even better artichoke/feta/egg/potato flavours. Spoon the fillings back into the potato skins, return to the oven for another 10-15 minutes. Voila. A completely delicious and slightly different way to enjoy potatoes, eggs and artichokes for brunch. 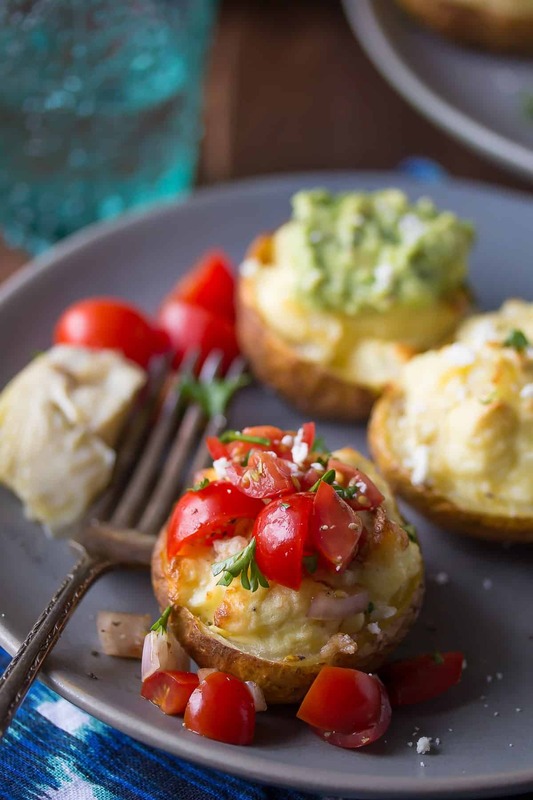 While these twice baked breakfast potatoes are great on their own, I’ve also included my recipes for bruschetta and guacamole to top your potatoes with. Additional topping suggestions? Greek yogurt. Bacon. Roasted mushrooms. Salsa. 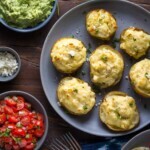 You get the point…these are versatile breakfast/brunch potatoes that would be great with any number of toppings that you happen to have around. So there you have it. My #PCDishOut recipe! Don’t forget to enter to win a $100 PC Gift Card! Thanks so much to President’s Choice for sponsoring this post! I love working with the brands I use in my everyday cooking and that help make Sweet Peas & Saffron possible! A delicious make-ahead brunch recipe that fills potato skins with eggs, artichokes, and feta cheese. Heat oven to 425°F. Line a baking sheet with parchment paper and set aside. Toss the potatoes in the olive oil to coat and season generously with salt and pepper. Arrange on the baking sheet and bake for 60-70 minutes, until cooked through and soft in the middle (use a fork to test; this step can be done the day before with cooked/cooled potatoes stored in the fridge). Remove from the oven and allow to cool 10 or so minutes. Carefully cut the potatoes in half, then allow to cool a few more minutes. Using a small spoon, gently scoop the insides of the potato and place in a large bowl. You don't have to remove all of the potato flesh, and leaving a small amount attached to the skins will make them less fragile. In the bowl with the potato fillings, stir in the yogurt, feta cheese, artichokes, salt and Worcestershire sauce. Add the eggs and stir until well combined. *I recommend leaving it as a chunky mixture for the best flavour. Arrange the potato skins back on the baking sheet and gently spoon the mixture back into the skins. Return to the oven for another 10-15 minutes, until filling no longer jiggles. 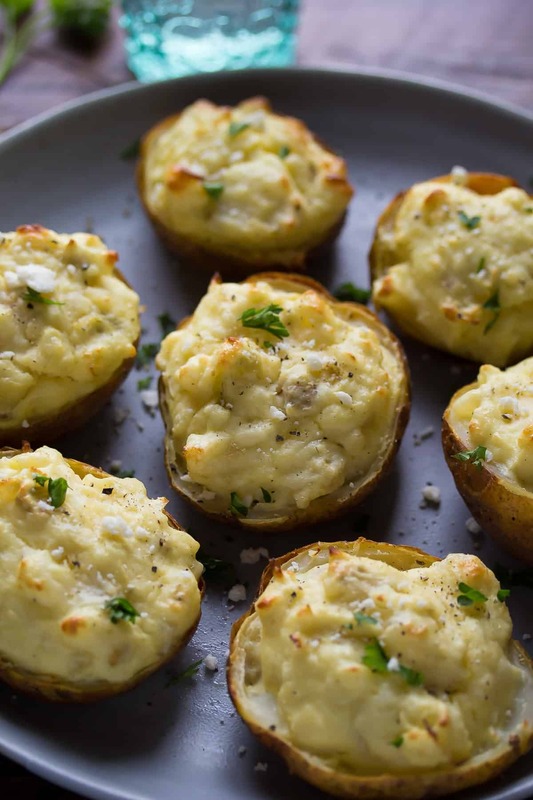 Twice baked potatoes are good on their own or served with optional toppings. Bruschetta (optional) Combine all ingredients in a small bowl and allow to sit for 30 minutes or so. This may be made a day ahead of time. Guacamole (optional) Combine all ingredients in a medium bowl. This can be made 1-2 hours ahead, and stored (covered) in the refrigerator. This recipe makes 20-24 potato halves, and I recommend at least 2 per person, therefore this recipe will serve 10-12 people. Potatoes may be baked ahead of time, allowed to cool and stored in the refrigerator for a day or two. The twice baked potatoes reheat well in the oven; 350 for 20 minutes or so. I’m a crack-of-dawn gal, but if the potatoes are cooked the night before, these should come together very quickly. To be honest, I’d eat them for breakfast AND brunch! Wonderful idea. If it’s bad, then I’m totally guilty, Cyndi! 😉 Thanks, lady! I love brunch! It’s a way more acceptable hour than an early breakfast! These look amazing! Yes! I just want to ban breakfast and eat brunch for the rest of my life 😉 Thanks, Michelle! I love twice baked potatoes and love the artichokes and the Bruschetta topping!!! looks delicious! Thanks so much, Alice! I need to make twice baked potatoes more often especially now that I know how easy it is to pre-bake them! I’m pretty sure I could eat these brunch potatoes any time of day! I love artichokes too, so these sound perfect! They make a great snack too! I am appreciating artichokes more and more 🙂 Thanks, Danielle! Oooooh Denise, I think I love you right now. Artichoke, feta, tomato salsa, guac… Absolute perfection! I’m so flattered, Nora 😉 Can’t go wrong when those flavours are involved though can you? Brunch is the best! I am so not an early morning breakfast gal 🙂 Love these – so creative and they sound delicious! I am a terrible morning person! I was told I’d grow out of it, but I never have 😉 Thanks, April! These look delicious, Denise. I’d eat a whole plateful. Definitely a great holiday appetizer! And I love the bruschetta topping! Ha ha I definitely ate my fair share of them 😉 Thanks, Geraldine! HA! I didn’t think of that! Definitely another point for brunch! Thanks, Izzy! Could I use whole eggs or is the secret for rising in the whites only? Hi Joan! Sorry for the confusion, the product is white eggs not egg whites…so you can use whole eggs 🙂 I hope you like the recipe! Thanks so much, Martin! I hope you enjoyed them 🙂 They reheat well! I know what I am making at my next brunch! Pinning! P.S. I LOVE that you served these with guacamole. Genius dear! Hi Lauren, thank-you so much! They went so well with the guacamole (although I think EVERYTHING goes with guac, ha ha!) I hope you enjoy them!